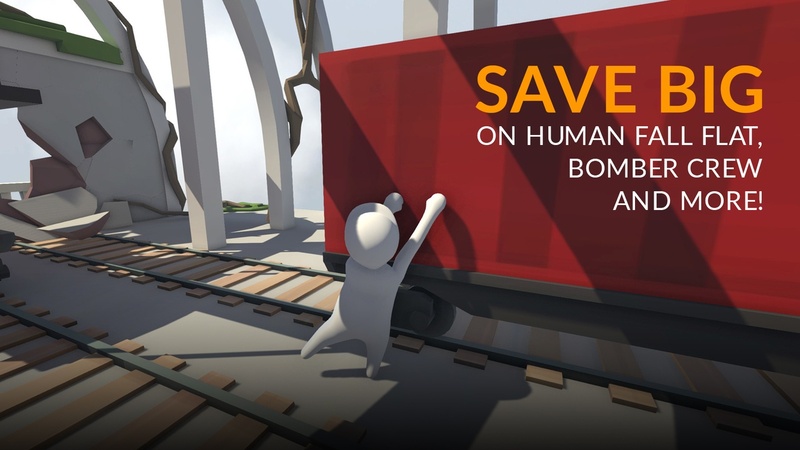 Join Human Fall Flat’s bumbling Bob as he and a number of virtual friends team up for the awesome Fanatical Bob & Crew Bundle. Take to the skies and recruit your troops for battle in Bomber Crew, clean up murder scenes by disposing of bodies and avoid detection in Serial Cleaner, and escape a sinister, high-tech testing facility in Stealth Inc 2. Including 3 titles rated Very Positive on Steam, save 83% with this great bundle for a limited time only!